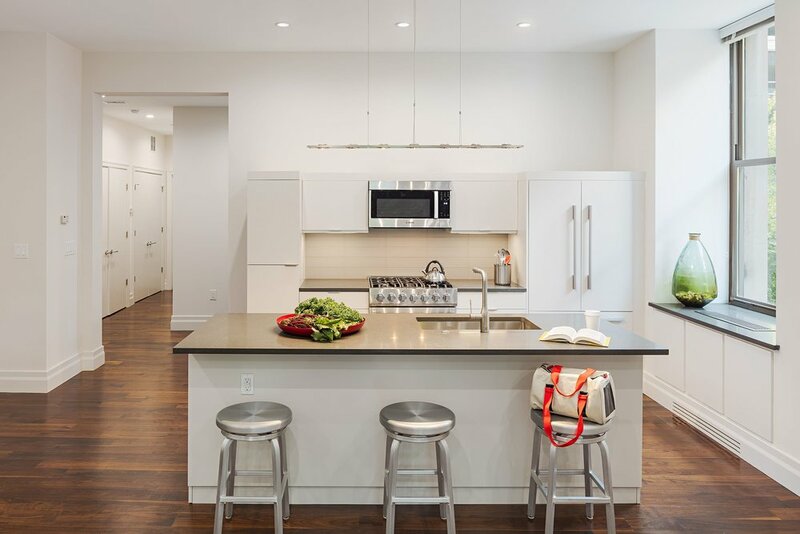 From a whole house remodel in a circa-1820 home in Society Hill, to custom built-ins in a Rittenhouse Square Condo; each project comes with a unique set of circumstances, advantages, and concerns. To learn more about our work at Buckminster Green and to explore some of these stories, see the gallery below. Each photo represents a case study that is at once distinctive yet typical of the kind of projects we undertake. At Buckminster Green we are committed to helping people make effective green choices as they renovate and build. Remodeling city homes presents unique challenges and exciting opportunities for incorporating green principles. At Buckminster Green we work in Philadelphia homes every day. We live in the city and love the city. We know the green materials and design ideas that will bring your house up to date while respecting its history. What it means to build green varies depending on many factors. Is the project new construction or a remodel? What existing features do we want to preserve? Aesthetics, energy use goals, site, health concerns - these factors all come into play. What works in Phoenix often won't in Philadelphia, but even the solution for a suburban home in Narberth might not be right for a century old rowhome in Fitler Square. We have amassed a variety of techniques to solve common issues from our years of experience in old Philadelphia homes. We're not following the latest fads, we're offering you tried and tested fixes that work.